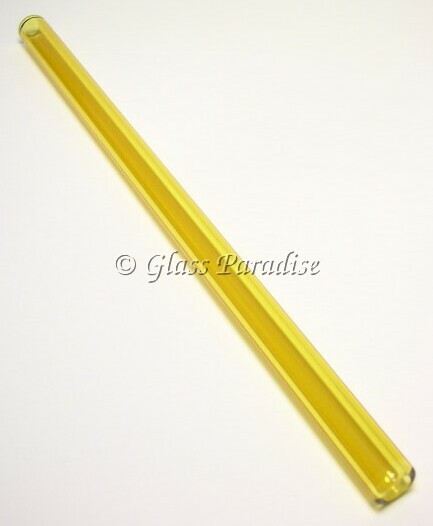 This beautiful citron yellow glass (smoothie size) drinking straw measures approx. 9" long x 12mm in diameter. Need a different length? Click here for custom straws. Made with hypoallergenic, non-porous Pyrex. The ends are flame polished (nice and smooth).